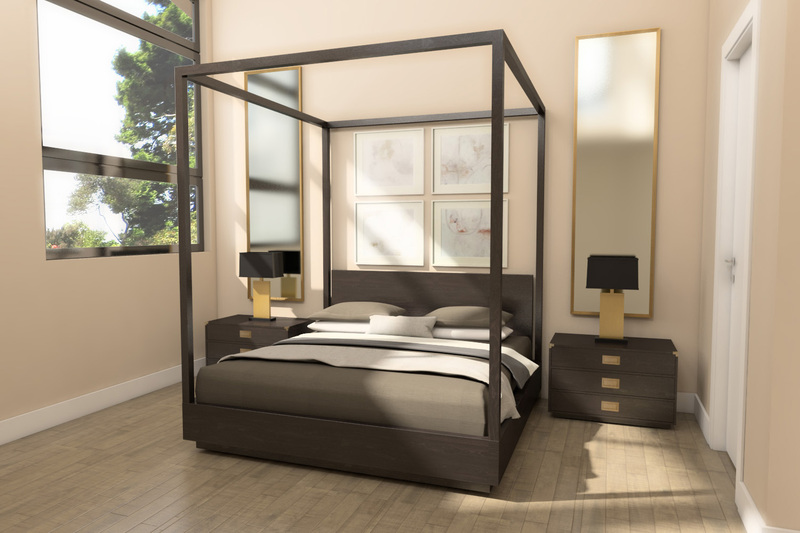 This modern bedroom 3d model mixes bold proportions and clean, mitered lines in a style both rustic and refined. Inspired by 1970s postmodern design download it in OBJ, FBX, MB. 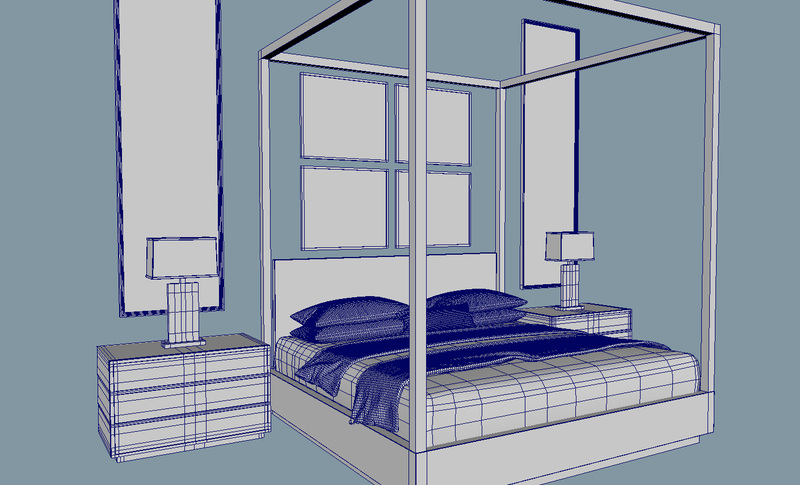 This modern bedroom 3d model mixes bold proportions and clean, mitered lines in a style both rustic and refined. Inspired by 1970s postmodern design download it in OBJ, FBX, MB. Textures and shaders are not included.